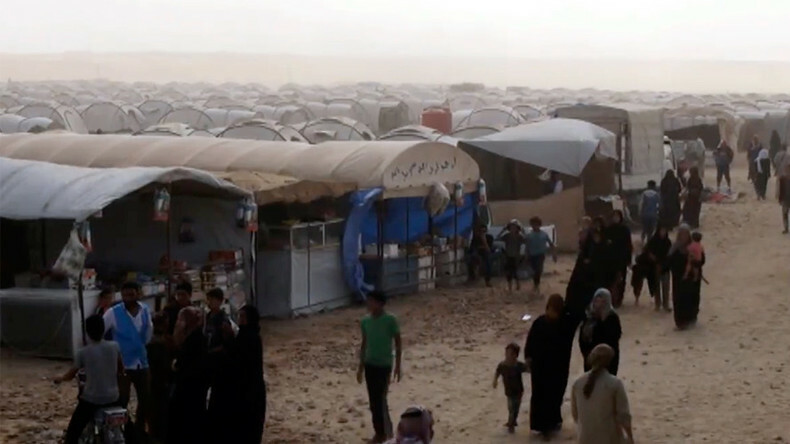 Civilians fleeing Raqqa in Syria are sharing traumatic stories of how the US-led coalition’s bombing has reduced the city’s populated areas to rubble while Islamic State (IS, formerly ISIS/ISIL) militants have been using people as human shields. Raqqa, known as a de-facto capital of Islamic State in Syria, is currently under siege by the Syrian Democratic Forces (SDF), a Kurdish-led militia backed by the bombing of the US-led coalition. Entire swaths of the city have been reduced to rubble by the bombing, which the UN estimates kills an average of 27 civilians each day. 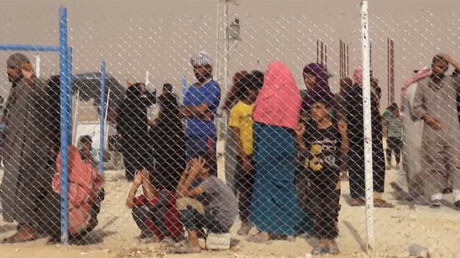 RT’s video agency Ruptly spoke to people in the Ein Issa refugee camp who fled their homes in Raqqa amid the fighting between IS and the SDF, and the incessant aerial bombing. “We ran from death and fear, every human being would be afraid, the sound of the aircraft makes us afraid, it was shelling the civilians a lot, destroying a lot of building and houses. We ran from fire,” one local, Abu Mohammad, from Raqqa’s Deryyeih neighbourhood, told Ruptly. “The coalition…it has destroyed the country for sure, this is what has happened, what can I say brother, it killed a lot of civilians, I lost friends and their children, what can I say?” he added. In some cases, terrorists have tried to use civilians as human shields, purposefully attracting collateral damage on the terrified residents. Human Rights Watch has accused the US and its allies of not taking the “necessary precautions to avoid and minimize civilian casualties." In March, 84 civilians, including 30 children, lost their lives in two coalition airstrikes. The bombs hit the towns of Tabqa and Mansourah, blowing up a market as well as a school housing displaced people. Though IS fighters were present at both sites, there were also dozens, if not hundreds, of civilians. 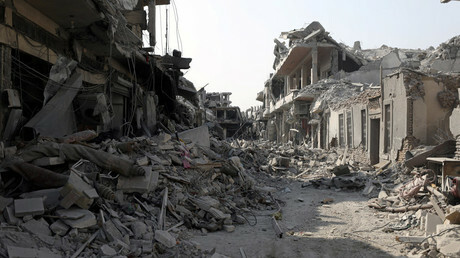 "The aircraft were shelling, we were afraid and ran away, we could not hear the sound of the aircraft. When the aircraft would bomb around us we used to feel afraid, a lot of people were killed," a boy at the camp told Ruptly. The battle for Raqqa began this summer as a final push to oust IS from one of its last remaining strongholds in Syria and Iraq. SDF fighters on the ground are being backed up by airstrikes from the US-led coalition as part of Operation Inherent Resolve. The Russian Foreign Ministry has described the situation in Raqqa as a “humanitarian catastrophe,” with officials pointing to the lack of effort to create escape routes and deliver aid to civilians so as to ease their suffering.